The festive sale circus is over and after spending endless hours browsing through sale items both online and in stores, I felt dissatisfied and deficient despite having 2 cupboards brimming with clothes. I love clothes and dressing up but I am also plagued with the crushing feeling most girls have that I don't have "anything" to wear. I understood the problem wasn't my wardrobe but went deeper. Somewhere along the road of impulse purchases and shopping incessantly in every sale, I had a heap of clothes that I had decided I liked but which didn't create a complete wardrobe that mixed well together and created a host of appealing looks for me. When I began listing down what was going wrong in my wardrobe, there were some problems that I found. A combination of impulse purchases and shopping for quantity instead of quality had left me with a wardrobe full of polyester tops and dresses. I am a dressmaker by hobby and have a fair understanding of fabric materials. Polyester, for me, sits at the absolute bottom of the pile in terms of fabric I would like to wear. It is unsuited to Bombay weather and loses its sheen quickly, appearing dull and faded out after a few washes. I had a lot of tops that looked great on their own but didn't really go with any of the jeans, trousers or skirts that I own. These included tops that were too short to wear with low rise jeans and colours that didn't work well together. We all have our comfort zones. 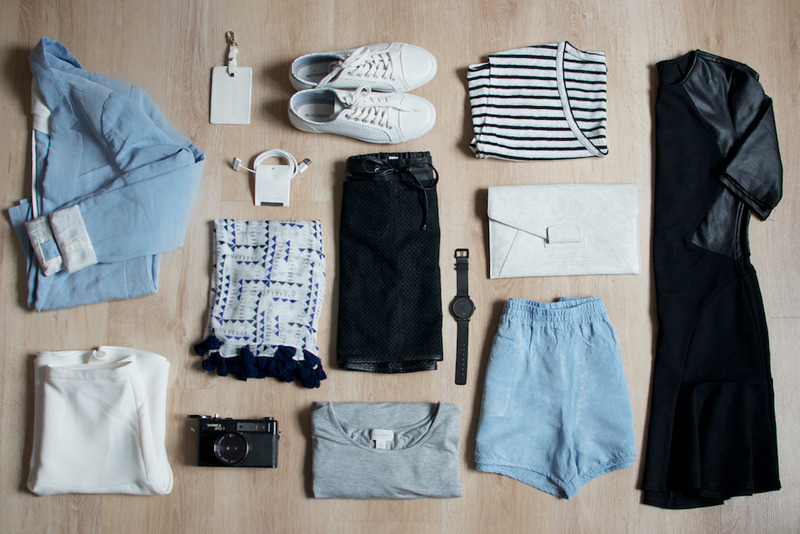 Clothes that feel like a second skin and make us feel comfortable and want to wear it often. Mine includes clothes that fall loosely and allows me to sit comfortably without worrying about malfunctions. However, I had a closet full of form-fitting tops and shift dresses that I liked in principle but didn't enjoy wearing frequently. Clothes that I had bought on a whim, usually online, that I didn't actually like in retrospect or didn't even fit me, having missed the window to return them. They now lie in my cupboard, unworn but occupying space and cluttering my life. I knew that I should not buy more clothes but I also needed a way to organise my closet and get the most out of my existing collection of clothes. The first step was a determination to not go shopping again in the near future. I decided that I would first go through all the clothes I already owned before buying anything new. With that out of the way, I began thinking of ways to optimise my wardrobe and searched for capsule wardrobes and minimalist wardrobes. Capsule wardrobes are essentially a collection of limited items that work together to create complete looks. My research threw up options for 33 to 40 odd items including clothes, accessories, jewellery and shoes. A couple of very useful blogs helped me in gathering information and guiding me through the process of putting a wardrobe together. I found these two blogs to be of immense help, hence putting it here for reference. The second approach was Minimalist wardrobe. I found this to be somewhat simpler and more open-ended and hence more to my taste. It essentially requires one to purge the existing wardrobe to a limited number of essentials that can be easily mixed and matched to create complete looks. 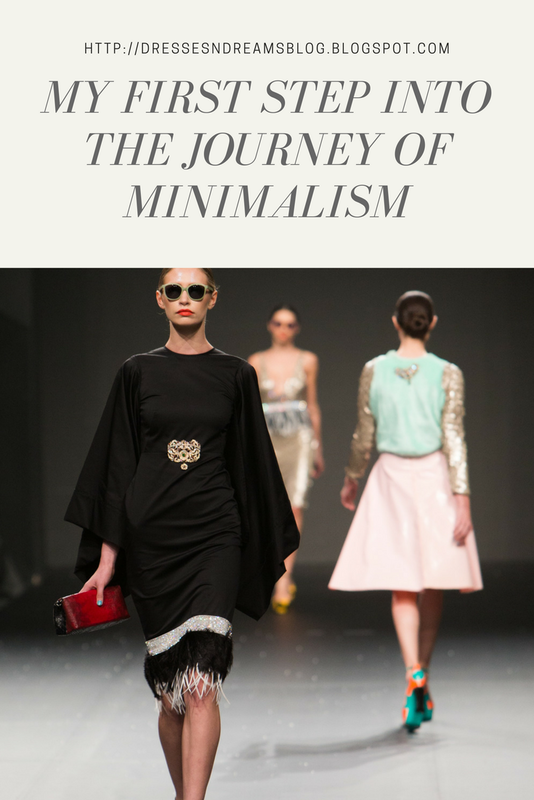 I found a very useful blog that actually reviewed and compared capsule wardrobes and minimalist wardrobe and helped me to determine my way forward. Both concepts appealed to me for their simplicity and the promise of a more meaningful wardrobe. I like the open-ended nature of minimalism which attacked the problem of an overstuffed and dissatisfying wardrobe at its root. I felt that it embodied the concept of less is more which I was aiming to achieve. Capsule wardrobes on the other hand helped create a structure and provided guiding principles towards a creating a smaller wardrobe. Keeping this in mind, I decided to try out a combination of minimalism and capsule wardrobe, taking the best of both worlds to create something that worked for me and my lifestyle. This blog is an attempt to share my experiments working with a smaller wardrobe. I will be taking a step by step approach and sharing my experiences - both wins and failures, as I journey down this path which I hope will help me to refocus my efforts on things that matter more as I cut time away from the big question of what to wear which dominates my early morning routine. This post was originally published on 24 October, 2017 on my first blog. I have migrated it here and made some minor updates.